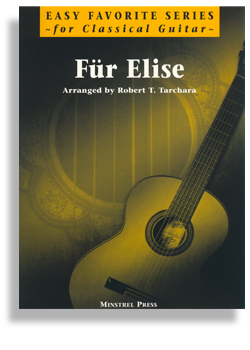 Fur Elise for Easy Guitar arranged by Robert Tarchara is designed for the beginner to intermediate level guitarist. This simplified fingerstyle arrangement transcribed from Beethoven’s original piano classic includes standard notation and tablature for guitar. The entire Robert Tarchara Guitar Library is only available from Santorella Publications.